Ernst & Young, one of the Big Four auditing firms, has agreed to pay a $10 million to New York state to settle a lawsuit for overlooking accounting gimmicks by Lehman Brothers, the defunct Wall Street bank. The scheme allowed Lehman to hide billions of dollars in bad deals. Back in 2001, Lehman Brothers bankers dreamed up a scheme that they named Repo 105 to temporarily “sell” bad debts on condition that they would repurchase them a week to ten days later. The term Repo is derived from “repossess” and 105 referred to the five percent premium it paid for the service, as opposed to the usual two percent. With the worst deals taken off their balance sheet, the bank appeared more financially healthy than it actually was. Buyers of Repo 105 included Barclays of the UK, KBC Bank of Belgium, Mizuho Bank and Mitsubishi UFJ Financial Group of Japan, and UBS of Switzerland. But Lehman Brothers ran into problems with this novel technique since no U.S. law firm would sign off on this scheme as a “true sale.” In order to get approval, the bank turned to Linklaters, one of the top five UK law firms to do so instead. Linklaters partner Simon Firth agreed with one caveat. “This opinion is limited to English law as applied by the English courts and is given on the basis that it will be governed by and construed in accordance with English law,” he wrote. An investigation into Lehman by Anton Valukas, a court-appointed bankruptcy examiner and former federal prosecutor, cited a July 2008 e-mail exchange from two Lehman staff. Vallecillo: “So what’s up with repo 105? Why are we doing less next quarter end? Vallecillo: “I see . . . so it’s legally do‐able but doesn’t look good when we actually do it? Does the rest of the street do it? 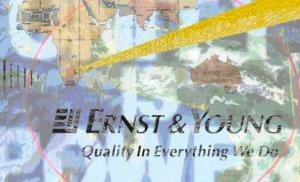 At the time, Ernst & Young, which was also headquartered in the UK, was on contract to audit the bank’s books. Between 2001 and 2008, the firm was paid $150 million by Lehman Brothers to certify that the bank’s financial statement represented a true and accurate picture. In September 2008, the bank collapsed, triggering a global economic crisis. In 2010, the New York state attorney general sued Ernst & Whinney for failing to report the scheme. The state asked the firm to return the $150 million that it had earned from Lehman Brothers. In October 2013, Ernst & Young agreed to pay $99 million to settle a lawsuit by Lehman Brothers investors. This week, the firm agreed to pay out another $10 million to New York state.